DIGITAL ECONOMY: How Can Small Business Lead in the Fourth Industrial Revolution? It was at the dawn of 18th century that we learned to harness the power of water and steam, paving way for the First Industrial Revolution. What followed this was electric power, which provided breakthroughs in mechanical production and manufacturing. Across major industries, these two industrial revolutions broke down the traditional craft-based manufacturing, introduced assembly line processing, and eventually paved the way for automation. While the Third Industrial Revolution, rooted in information technology and data synthesis, has radically changed industries globally, the Fourth Industrial Revolution is taking it a step further, bringing the digital and physical world together and accelerating change. What can this technological revolution offer to emerging businesses and developing markets? Will technological advancement even the playing field for smaller enterprises? Can the giants innovate themselves fast enough that they can continue to supersede the emerging small and medium-sized local enterprises? Or will the Fourth Industrial Revolution transform the way we think the relationships between enterprises big and small? Let’s start by defining what we’re talking about. Described as the immeasurable influx of new innovations - from the higher form of artificial intelligence, cost-efficient 3D printing, autonomous vehicles, nanotechnology, to advances in medical science - the Fourth Industrial Revolution brings together these disruptive elements, fundamentally breaking down systems and affecting the way the majority of us live and engage in commerce. But MSMEs in particular stand to benefit the most compared to their larger counterparts. This industrial change is forcing various industries to rethink their ‘outdated’ and ‘broken’ systems in the age of Instagram, Facebook and Uber. These disruptive technological elements will impact enterprises beyond manufacturing and systems, and are posed to affect job creation and market viabilities. In the midst of that, entrepreneurs have an opportunity to lead - by building their own solutions or working with the giants to change how they do things. What’s getting in the way of small businesses being able to lead the way for industry? While the Fourth Industrial Revolution leads us to unprecedented technological innovation, ASEAN SME’s still lack the ability to access big data infrastructure. Moreover, weak performance of SMEs over the past years is attributed to the information and technology gaps and difficulties in accessing investment-heavy production technologies. A study by Philippine Institute for Development Studies (PIDS) in 2013 reveals that ASEAN Strategic Action Plan for SME Development 2010-2015 had limited impact on facilitating SMEs access to data infrastructures, information, market and human resource developments and technology. These innovations can only be fully benefitted by small and medium enterprises (SME’s) if the proper technological and physical infrastructure are set in place. The success of the SME sector across the ASEAN region lies heavily on the support awarded to it by private and public partnerships. Having to leverage these innovations will require the collaborative effort of scientists, larger manufacturers and creatives to share the same vision of bringing innovation to the streets, and ultimately drive regional and global economy and solidify inclusive growth. It is an imperative that governments understand the need to prioritize SME development to promote inclusive economic growth across the ASEAN region. "The definition of “excellent service” is now more fluid than ever; for example, consumer behaviors are now shifting greatly towards mobile networking and data coverage." As collaborative efforts are still on their way for emerging SMEs in ASEAN, the introduction of successful start-ups in the region is an opportunity for our enterprises to succeed as second-mover innovators. The success of global digital platforms are learning opportunities for SMEs and emerging enterprises to enrich their customer’s experience, further product research and development, strengthen cost-effective sales and marketing strategies, and improve product distribution and logistics. Martha Sazon, senior vice president for Globe myBusiness shares that unlike other consumer markets, for SMEs, excellent service and great customer experiences are a must because every second where communication lines falter, business opportunities are lost. The definition of “excellent service” is now more fluid than ever; for example, consumer behaviors are now shifting greatly towards mobile networking and data coverage. SMEs, in order to capture their niche and selected markets, have to design their businesses and models to be receptive towards these platforms and channels. Artificial intelligence and machine learning have started to replace existing jobs. This phenomenon is already extending to vocations that used to seem out of the reach of computer intelligence, including law practice, screenwriting, art and fashion. In the face of this, small businesses must reexamine the roles that they offer - as well as the roles that they as businesses can play in the market of knowledge and services. By analyzing these trends, we will be able to understand employment opportunities for emerging business and adapt new skill sets required for these emerging SMEs to succeed. Several studies have shown that by the next 20 years, majority of the jobs we know now will be drastically altered by technological developments. The academe and employment sector therefore have important roles to play in forecasting these job trends and to prepare the necessary human capital. The Philippines, among others, have to prepare its soil as a fertile training ground for start-up entrepreneurs and job-seekers in managing and growing their businesses, while benefitting from technologies. 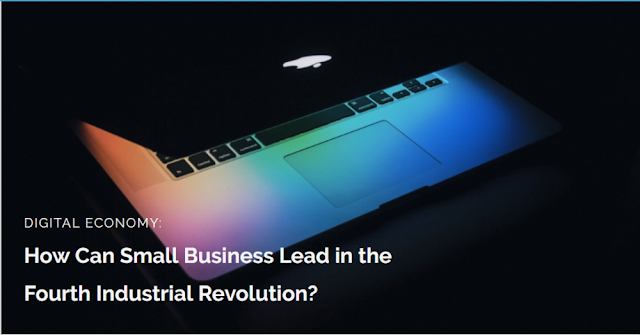 While SMEs occupy the largest chunk of registered businesses in the Philippines and within the ASEAN region, it is still undeniable that small businesses will have challenging times grappling with the Fourth Industrial Revolution. Yet the strength of SMEs is their ability to be adaptive to varying economic climates as compared to larger competition. It is timely for this topic to be discussed in greater depths in the coming Open Collaboration with East Asia New Champions (OCEAN) come November 24 - 26, 2016 in Bohol, Philippines. OCEAN is a biennial gathering in the Philippines that brings leaders across sectors to connect, discover new ideas, and shape a more creative and innovative future together. Leaders across industries will discuss and aim to understand these radically changing entrepreneurial environments and uncover opportunities for SMEs. ASEAN will be an even more dynamic business region as its leaders and emerging entrepreneurs use these technological innovations and platforms to further economic and inclusive growth. The Fourth Industrial Revolution is within our midst. It is about to impact everyone in almost all aspects of our lives. Small businesses can lead the way through the changes coming up - if they’re ready to take on both the challenges and the opportunities ahead. This post is part of a blog series promoting Open Collaboration with East Asia New Champions (OCEAN) Summit 2016 in Bohol on November 24-26, 2016, with the theme: The Future of Industry and Impact. There will be a session on Powering Small Business: MSMEs in the digital economy. To know more and participate, go to http://www.ocean16.asia/.